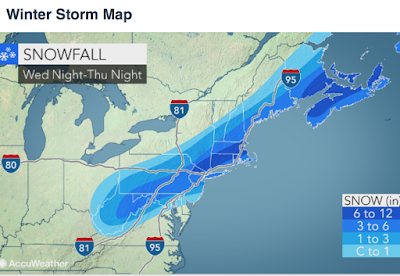 Our team at AccuWeather is forecasting a major snow storm beginning tomorrow night. If you live in these areas or are traveling, please be aware. BTW: "C" = coating.